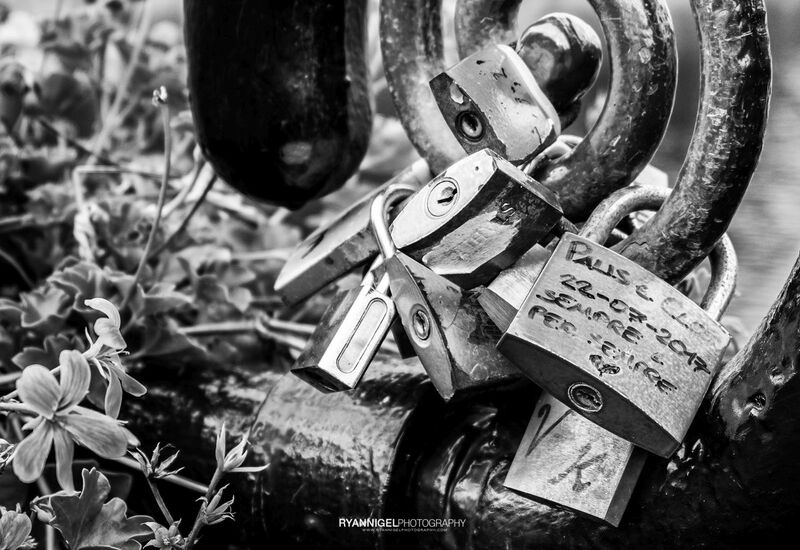 Heartlocks, Love locks, but they are all padlocks. 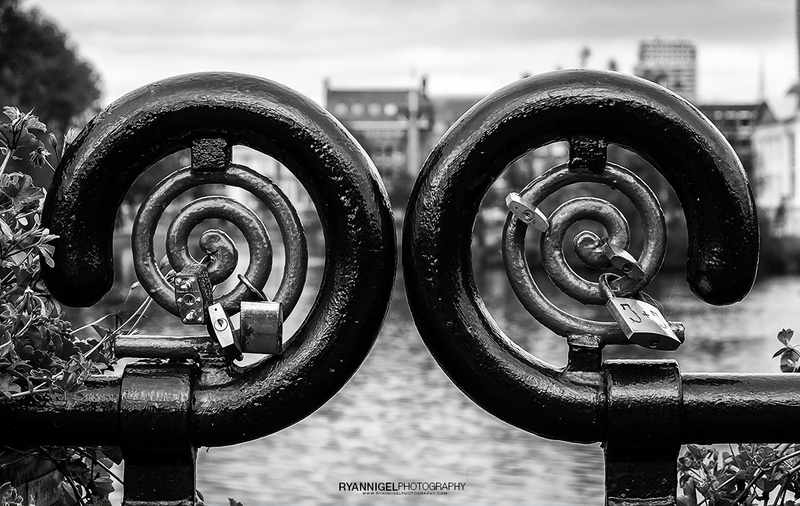 I do like to photograph heartlocks. They are the emotions of people having at that time. 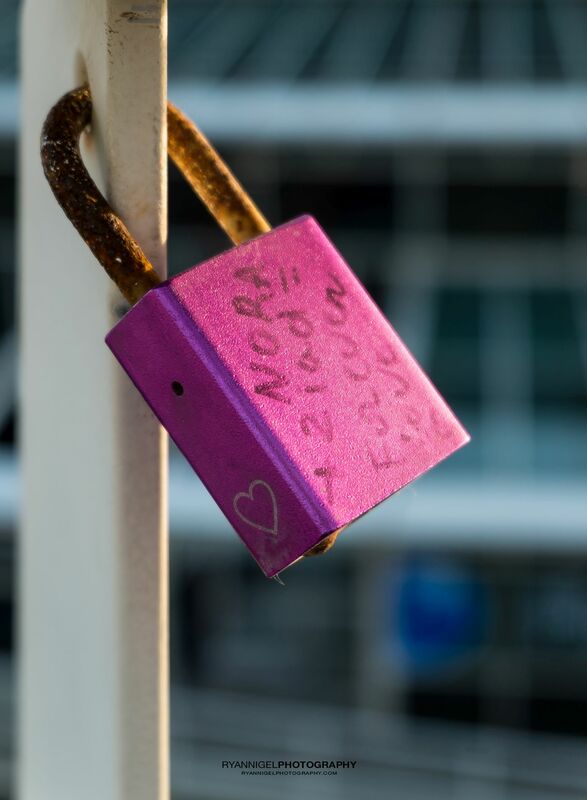 Expressions of love, eternity, promises of forever and ever and more. 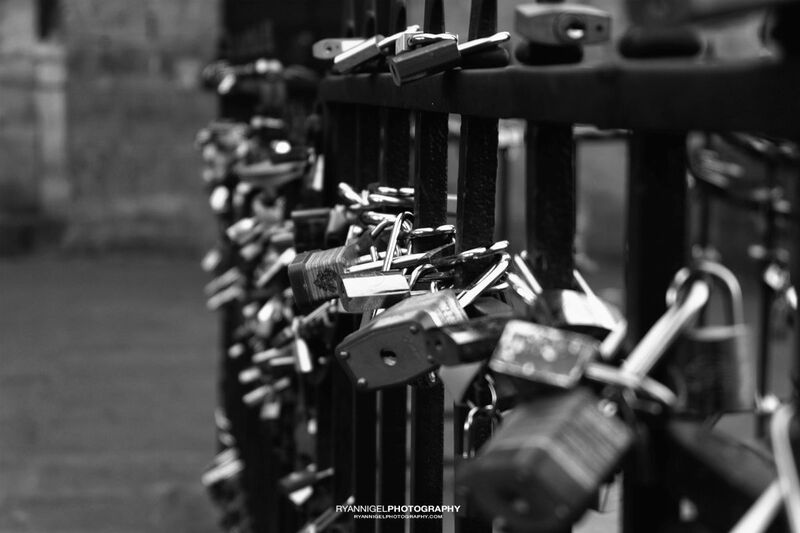 I have shot a lot heartlock photos but I never got it right to my feeling. I mean, i never got it right in visualising that expression. Should it be in black and white or in color ? Hard and deep dark contrasts or bright colors ? Very shallow depth of field or just a close up ? 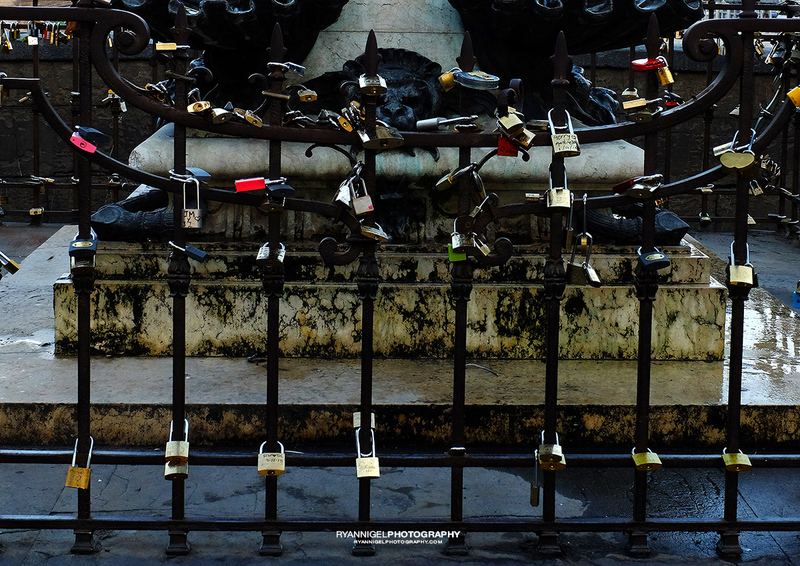 When i was walking in Florence Italy on an early morning I saw tons of locks. 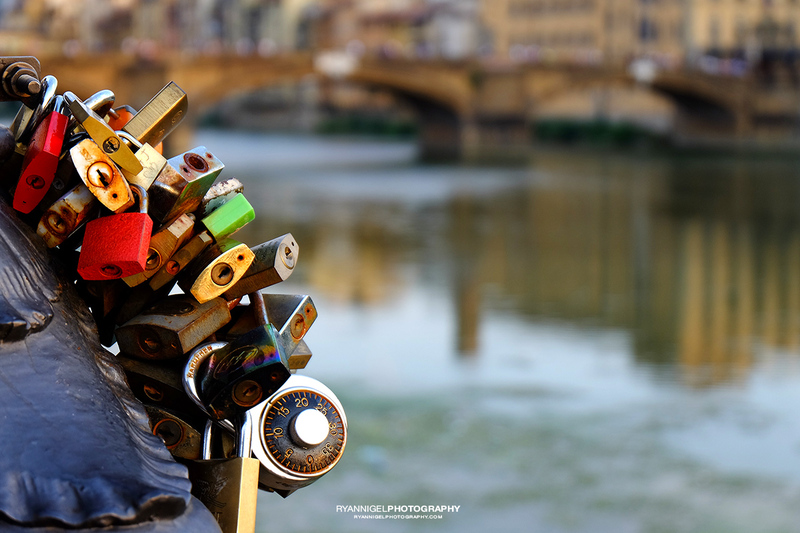 Mostly at the Ponte Vecchio but also on nearly all the road leading to Ponte Vecchio. Quite a nice scenery 🙂 Imagine how many people made promises to eachother. I see them mostly on bridges with nice views, but also on crossings over railroads or on fences in parks. Places where people hang out, meet eachother, pass by or just be there because they love the place. But there are some rare places. The photo below is taken from the Bungy Jump tower in Scheveningen Beach the Netherlands. But why ? It’s symbolic I know. And symbolism gives a meaning to people. People feel good at that moment, they want to express their love, their devotion to another. And at that specific moment, with that feeling, people start to tell eachother things. Making promises they can’t keep, telling things they should not tell. And, yes, I ‘ve done it myself too and yes I broke a heart and yes mine got broken too.